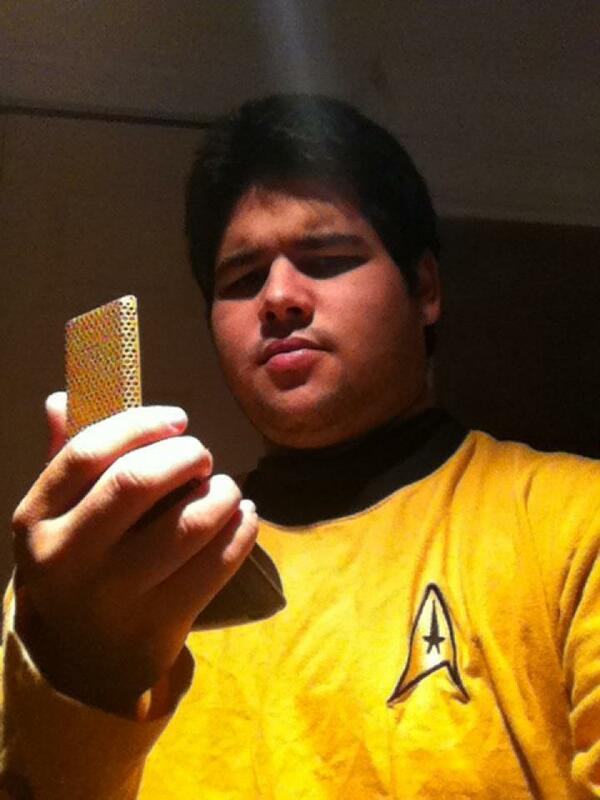 I, Jaime Sanchez am a Star Trek fan… of all things Trek. I have been for the past couple of years worked on the fan production of Star Trek, called Phase 2 re-creating the original Star Trek. Here you will find Interviews with Trek cast members and crew members of all the various shows both Hollywood and fan made and Reviews of Star Trek episodes with the same notation. I originally got the nickname Fez in high school in my Junior year Spanish class because according to the person next to me thought I looked like the character from “That 70’s Show”. I got the nickname on the set of Star Trek: Phase 2, when I was doing my impression of Fez and James Cawley just happened to catch it, and asked who I was and then proclaimed… “I’m going to call you Fez!” and I have been that since. 2. What is your earliest Trek-related memory? My Earliest Star Trek memory is watching Star Trek The Next Generation episode “The Best of Both Worlds” with my mom and dad when I was about 5 years old, just before my first convention in New Haven, CT.
3. What is it about Star Trek that makes you such a devoted fan? 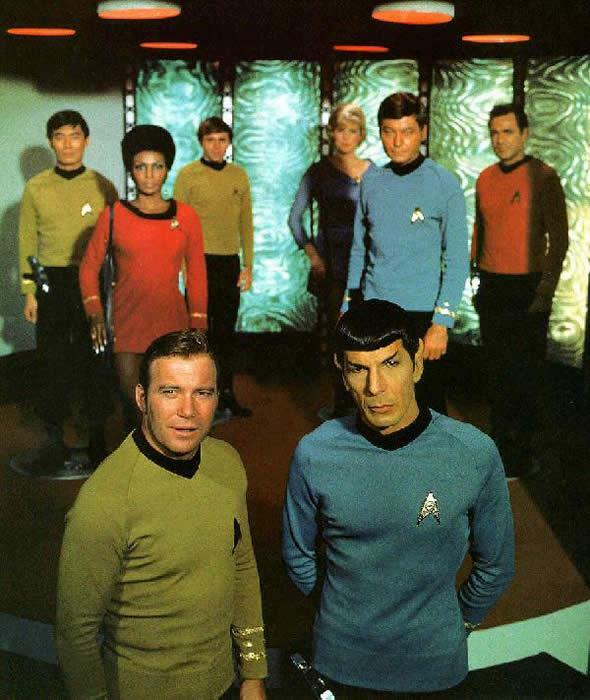 I don’t know what makes me such a devoted fan, but I know why I love the shows… Gene Roddenberry’s vision of the future has always appealed to me and the fact that for the most part each series has had excellent stories compared to the junk shown on television today. 4. Which of the network television series is your favorite, and why? When I was growing up it was Star Trek The Next Generation, now at 22 going on 23 (on Christmas) it is The Original Series… James T Kirk, is my idol as a human being and many of the episodes in the Original were more character driven and conflict driven something that most of the other shows lacked in some fashion. 5. Which of the films is your favorite, and why? Star Trek II: The Wrath of Khan, isn’t it obvious ….. KHANNNNNNNN!!!! 6. What do you think of the direction JJ Abrams has taken with Trek? The Direction is one that I think was necessary for new people to become fans however the movie itself had to quote a friend of mine “Plot holes that you could drive a starship through”… besides it felt more like Star Wars rather then Star Trek. 7. Do you have any interesting Trek memorabilia? I have two things, a novel that was signed by David Gerrold (writer, “the Trouble with Tribbles”) who wrote the introduction to the book: At the “Phase 2 Origins” shoot and My “Mindsfiter” script which was signed by several of the main cast members and 2 Producers and the Director. 8. How did you get involved with Star Trek Phase II? 9. What jobs have you taken on with Phase II? 10. How does Phase II decide what stories to tell? First it has to go through the story editors and then the final say is the Executive Producer’s call. 11. Is there anything you’d like to do with Phase II that you haven’t done yet? 12. What is your favorite memory from working with Phase II? I think that this previous shoot was one of the best times I have had on the set, had so much fun hanging out with James(Cawley), John and Annie Carrigan, Brandon Stacy, Jonathan Zungre and Charles Root and the rest of the crew. Not much, but you needed help it was your first day on the job. 14. Why did you decide to start blogging Trek? I started writing the blog after a bunch of the cast and crew of Phase 2 told me that it would be interesting to have me review star trek episodes with my perspective of being on the set of Phase 2, it was also during the genesis if the blog at the “Mind-sifter” shoot, that my knowledge of Trek was compared to two members of the Phase 2 Crew: Greg Schnitzer (Prop expert and co-execuitive Producer) and James Cawley ( Captain Kirk, Executive Producer, Costumer…..ect) and I was really flattered. 15. 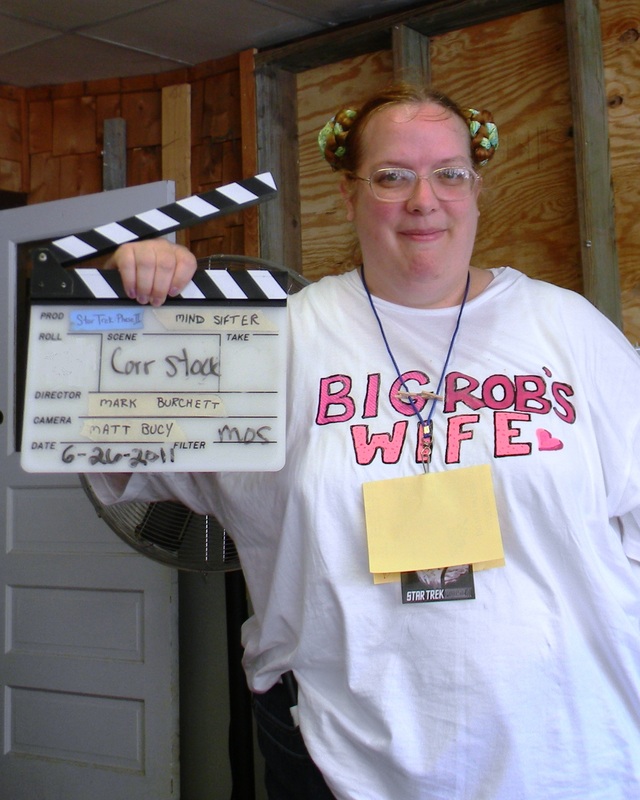 You’ve interviewed a number of Phase II folks on your blog; which interview was your favorite? I at the moment don’t have a favorite because these people that I have all interviewed are all my friends that I think of as family and it would be like if you had to choose between your brothers if you had them. 16. Tell me about Starship Saladin. Starship Saladin is an animated fan-film based on the destroyer-class ship Saladin, following Captain Ray Martin and his crew. The episode that is in post-production is called “Invasion”, it is set during the Original Series episode “Errand of Mercy”… I am playing several well known characters in the episode, I can’t get into specifics yet until it is released. 17. Do you have any hidden talents? 18. Besides working on scripts for Phase II, what other writing do you do? 19. Besides Star Trek, what other Science Fiction shows do you enjoy? Star Wars, but it’s not a show… Television in my opinion is in the gutter, there are only a few shows that I do watch: Law and Order SVU, The Big Bang Theory and That 70’s show. Han, I hate it when George Lucas changes the Star Wars movies… besides it speaks about his cold-heartedness before going off his adventure with Luke and Obi-Wan. This entry was posted in Interviews and tagged Fez, Star Trek, Star Trek New Voyages, Star Trek Phase II, Trek. Bookmark the permalink.